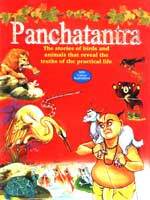 Panchatantra Stories are truly for ever and for all. These fascinating stories click into the minds of the young readers and educate them while entertaining. The adults also find them as interesting and educative as they were when they read them in their childhood.